Madonna says she’s happy that Malawi’s former vice president is now leading the country. Joyce Banda became president Saturday and is the country’s first woman leader. Former president Bingu wa Mutharika died of a heart attack on April 5. 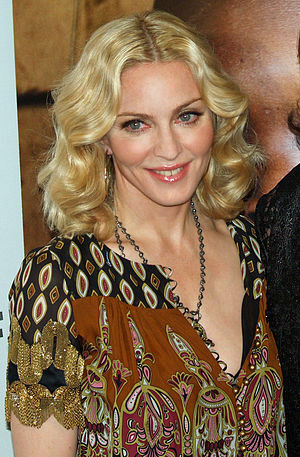 Madonna adopted two Malawian children and started the charity, Raising Malawi, in 2006. It assists orphanages and other aid programs in the country. The singer called Banda “amazing” and said she interviewed the 62-year-old for her 2008 documentary, “I Am Because We Are,” about Malawian orphans who lost family members to HIV/AIDS. Madonna made the comments Thursday night at Macy’s for the launch of her fragrance, Truth or Dare.